​The 1950s are out, and change is in the air! Hairspray, winner of eight Tony Awards, including Best Musical, is a family-friendly musical, piled bouffant-high with laughter, romance and deliriously tuneful songs.It's 1962 in Baltimore, and the lovable plus-size teen, Tracy Turnblad, has only one desire – to dance on the popular "Corny Collins Show." When her dream comes true, Tracy is transformed from social outcast to sudden star. She must use her newfound power to dethrone the reigning Teen Queen, win the affections of heartthrob, Link Larkin, and integrate a TV network... all without denting her 'do! In the style of commedia dell' arte, The Servant of Two Masters is a witty comedy, full of ridiculous characters and sticky situations. When Truffaldino's neglectful master forgets to feed him he takes on a second master hoping to increase his chances of getting a meal. Instead, he gets half the food and double the trouble. Federigo Rasponi shows up in town, ruining Clarice's plan to marry Silvio. But everyone thought Federigo was dead! Only the innkeeper Brighella knows his true identity. A fun, physical comedy that will entertain audiences of all ages. The lovable Clampett family arrives at Encore Theatre for an evening of hillbilly hilarity. 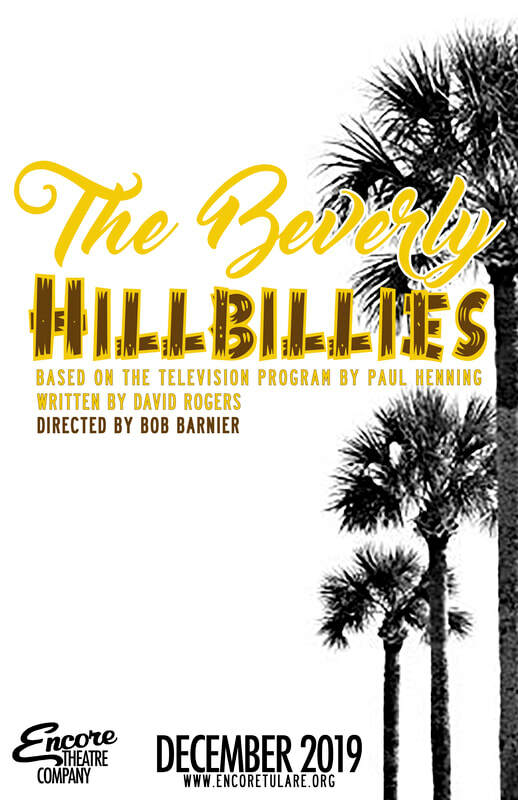 Starting in the Clampett's mountain cabin, the play follows them through the discovery of oil on their property, their improbable invasion of hi-falutin' Beverly Hills society and the absurd adventures and ridiculous romances they encounter there. They and the people they meet in "Californy" provide a just plain fun theatre experience. 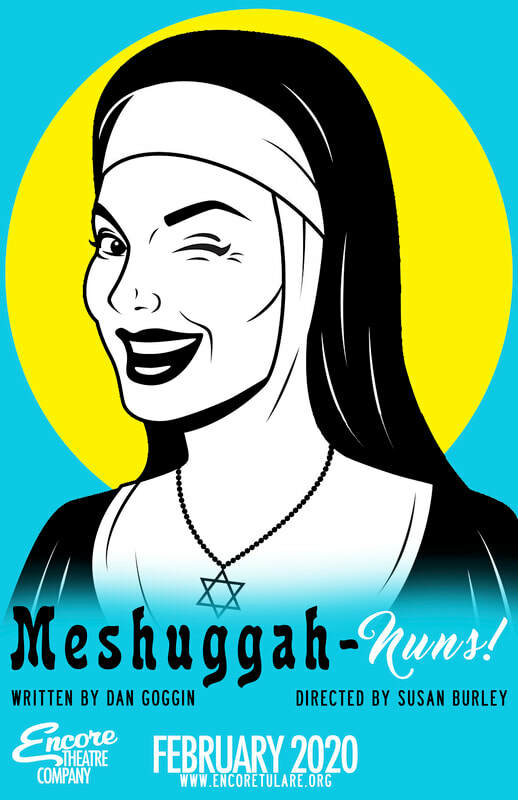 In the fifth “Nunsense” adventure, we find the Sisters on an all-expense-paid trip on the “Faiths of All Nations” Cruise. It seems that the Kunkels (the poor family who live behind Mt. Saint Helen’s School) have won the lottery. Although they had given their ticket to the Sisters in exchange for some gifts, when it was discovered that the ticket was a winner, the Sisters returned the ticket to the Kunkels. In appreciation, the Kunkels have paid for the Sisters’ trip. Ten strangers are summoned to a remote island. All that the guests have in common is a wicked past they’re unwilling to reveal and a secret that will seal their fate; each has been marked for murder. As the weather turns and the group is cut off from the mainland, the avenging begins in Agatha Christie’s darkest tale, And Then There Were None.